THE UNITED States Embassy is willing to offer sporting alternatives for the youths of the nation, said John McIntyre, the US Embassy’s Charge d’Affaires. McIntyre was speaking yesterday at the final day of the embassy’s Sport Diplomacy Soccer AssisTT programme, at the Larry Gomes Stadium, Arima. The embassy partnered with non-governmental organisation (NGO) Can Bou Play Foundation for a week of coaching and mentoring hundreds of youths throughout Trinidad. Former US players Tom Dooley and Estelle Johnson were involved in the programme, as sport diplomacy ambassadors. Mc Intyre continued, “This is part of our outreach that really gives youths an alternative, to allow them a way to get away from crime (and into) positive opportunities.” Yesterday’s session, involving youths from the MiLAT (Military-Led Academic Training) Academy, was badly affected by torrential rains. Yohance Marshall, former national defender and member of the Can Bou Play Foundation, said, “Our foundation started off earlier in the year. We came together as professional football players, realised we have an impact, a voice, and we wanted to give back to our communities. On Monday, a session was held at the Police Barracks in St James with the Police Youth Club and schools in the Diego Martin area. Schools from Rio Claro, Mayaro, Guayaguayare and Biche featured in a session, on Tuesday, in Rio Claro. Two days later, attention switched to Chaguanas and schools from the Central region. McIntyre hinted that there may be possibilities for aspiring footballers from this programme to obtain football scholarships in the US. “We have our college fair coming up next week at the Hyatt,” he said. “That’s an opportunity for youths to learn about US colleges. But we will work with people to get them an idea of what’s available in the US, because there (are) so much opportunities. Marshall does not intend this project to be simply a one-off. 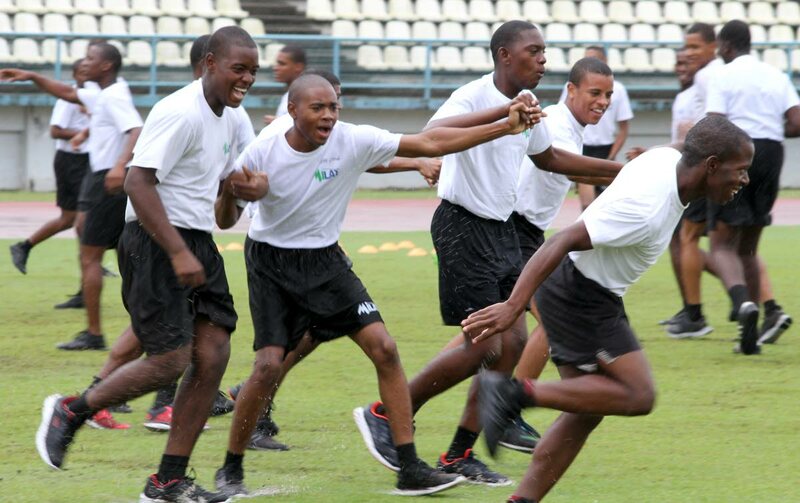 Reply to "US Embassy to offer sporting alternatives for TT’s youth"